Feeling edgy? Wear the necklace with the filigree side out. Need simple? Flip it over. Even better, you can pick the colors (#1 for back and under the filigree and #2 for the center of the filigree). 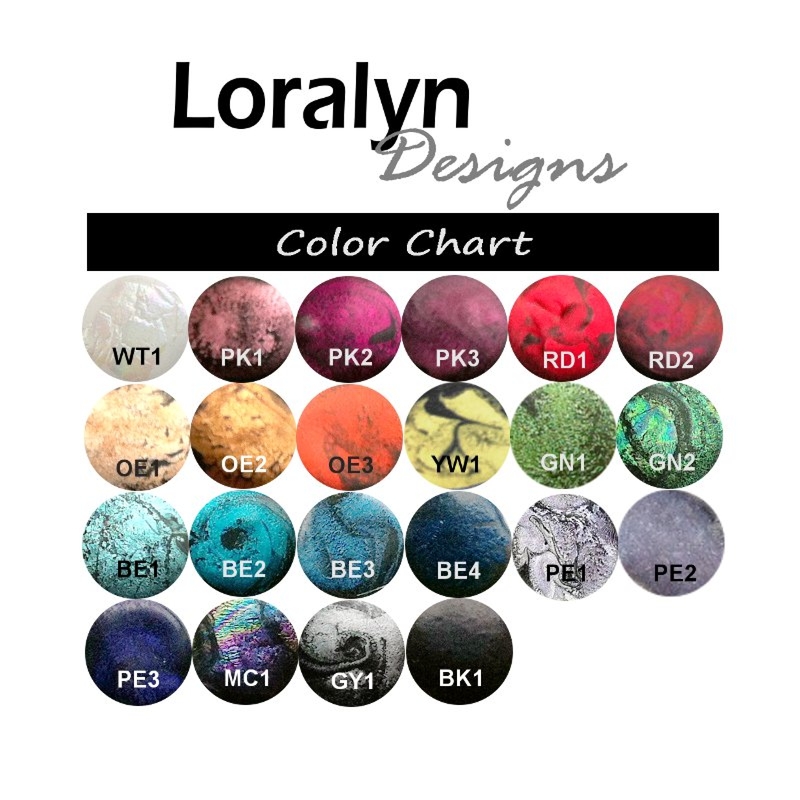 There are over 20 colors for you to choose from (see color chart - 5th product picture). Shown in PE3 and PE1. 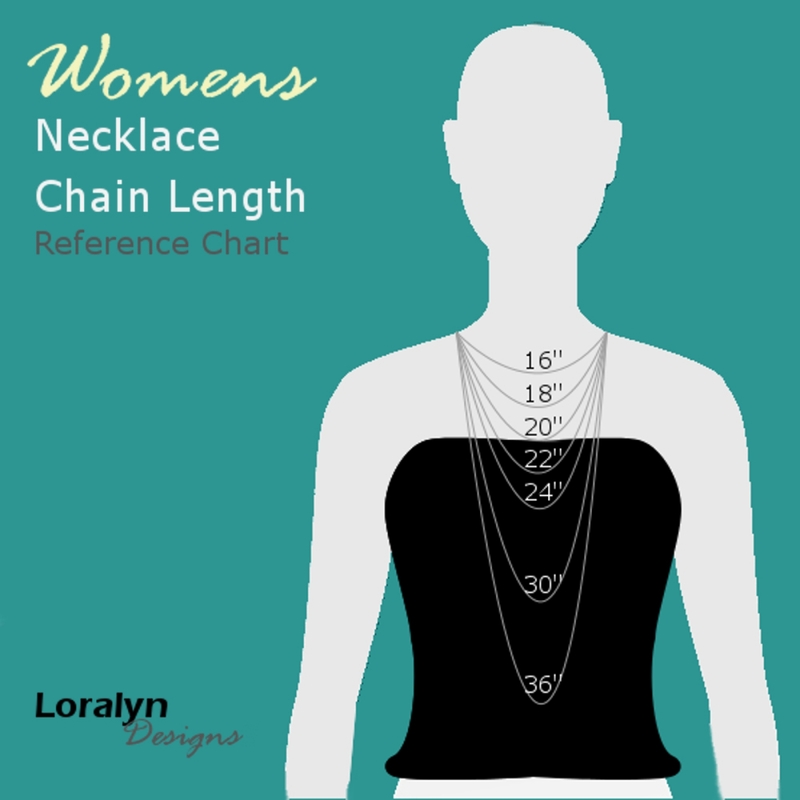 You can even choose between stainless steel and black leather for the necklace cord in lengths from 16 to 30 inches. 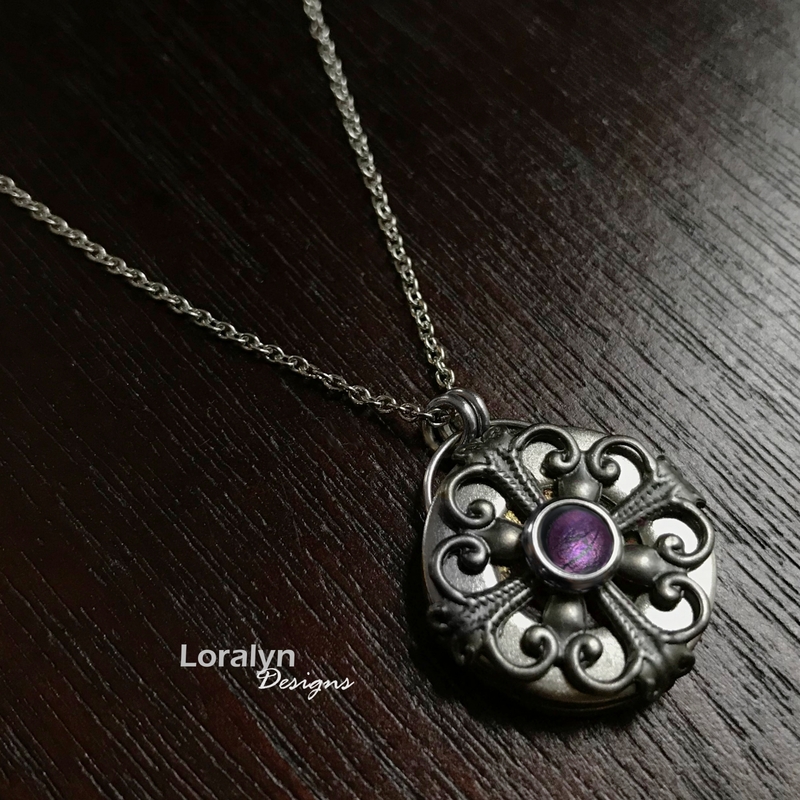 The pendant is 3/4 inch in diameter and 1/4 inch thick and will ship in a Loralyn Designs gift box. As Seen on The Vampire Diaries! 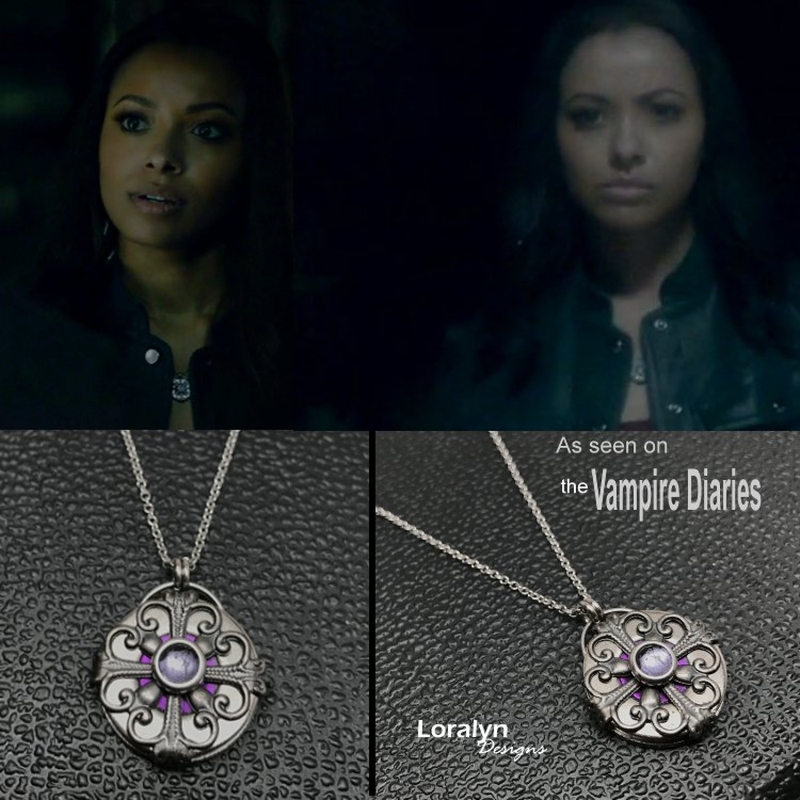 You can see this beautiful handmade piece on Bonnie Bennett (aka Kat Graham) on episode 8.14 of The Vampire Diaries which aired Feb 24, 2017! 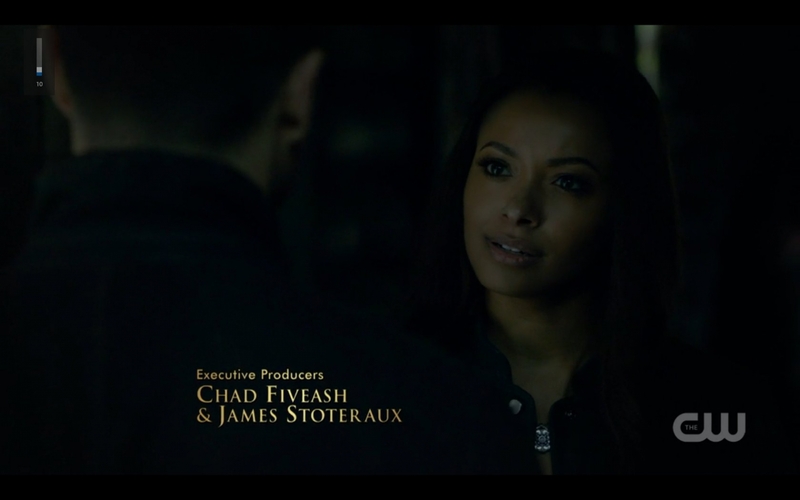 Here is a link to the show, best viewed around the 3 minute 19 second mark - http://www.cwtv.com/shows/the-vampire-diaries/its-been-a-hell-of-a-ride/?play=5b85e73b-5fff-490b-8463-bf89a74aad69. 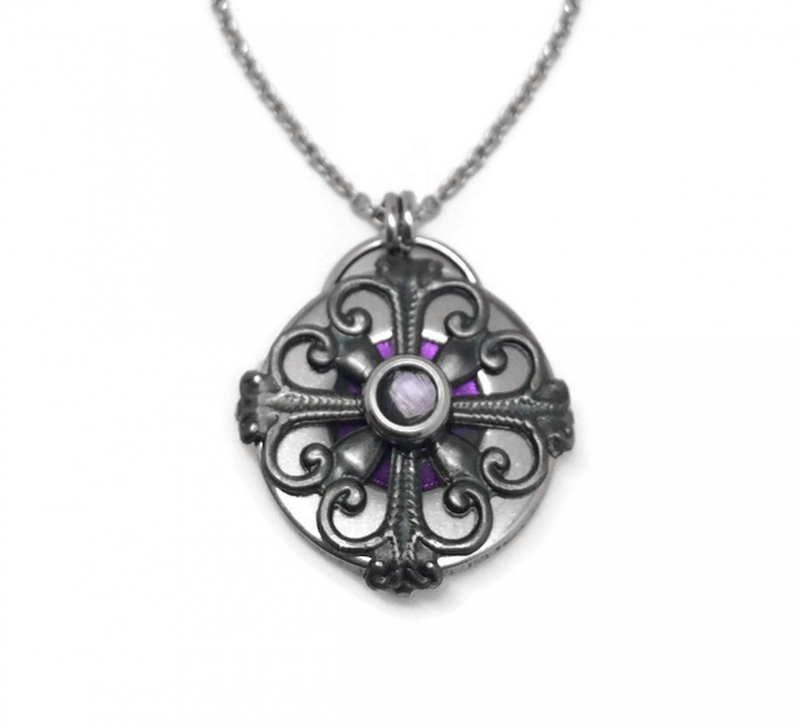 This necklace was designed for The Vampire Diaries wardrobe stylist for consideration of use on the show. We are the original designers and own the copyright to the design. The opportunity was provided to Loralyn Designs through The Artisan Group, a collection of juried handmade artisans handpicked by the owner to partipicate in high level giftings. 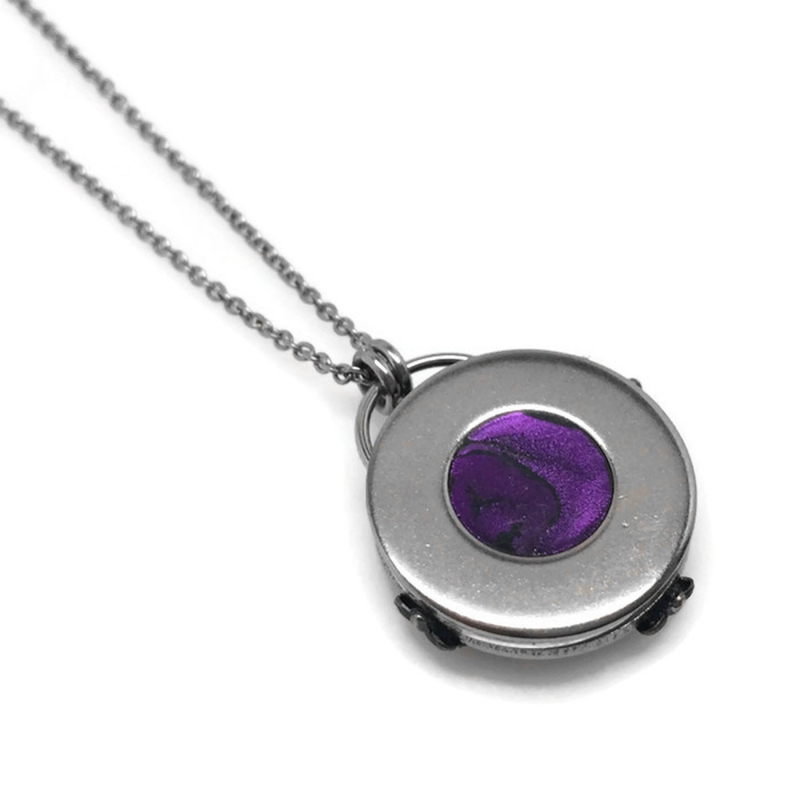 Stainless steel jewelry is rust-resistant and durable. Unlike silver, it will NEVER tarnish and is not susceptible to scratches, dings or dents. Stainless is also a great alternative for people that have skin reactions with other types of metals. 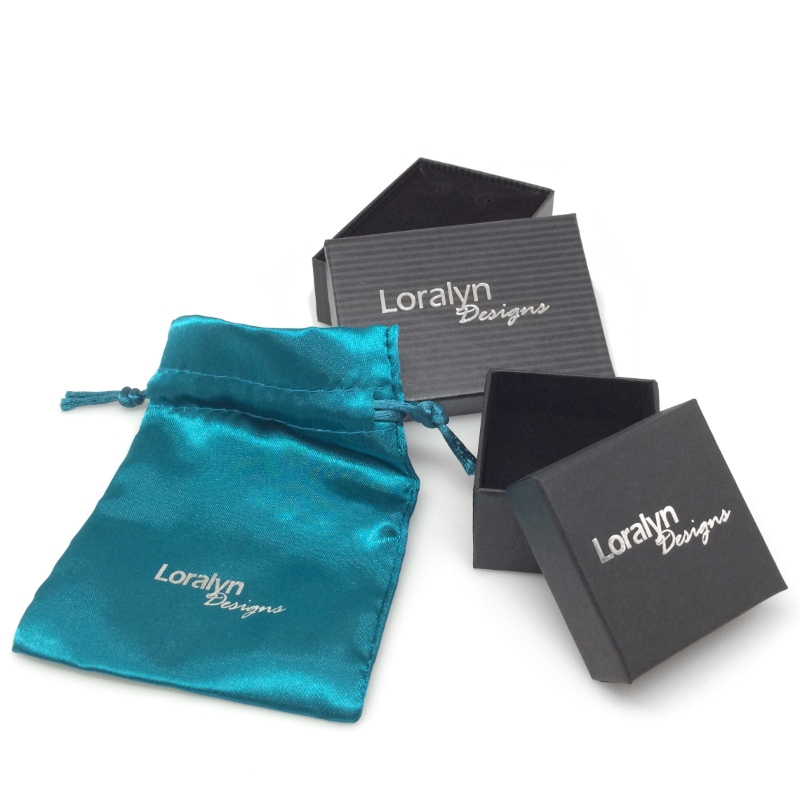 Your necklace will ship in a beautiful gift box with a black velvet lining. Perfect for gifting a special girl or woman in your life.